Need a Receipt for Tax Time? As tax time approaches you may have a need to provide a hard copy receipt of your membership fees to your accountant. If so it is possible to generate a printable version of your most recent receipt by logging into your account at www.mydocsonline.com and clicking the “My Account” button. Once you enter the My Account section you’ll see the Account Information section at the top of the page. In that section you should see a link to View / Print Most Recent Receipt. Clicking that link will provide a printable version of your most recent receipt. If you have a quarterly membership and need a receipt for all purchases made during the year just email us at [email protected] and we’ll have our accounting group prepare that receipt for you. 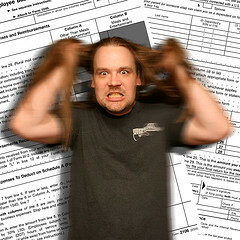 Tax time can be chaotic so if there is anything we can do to help please let us know.